Author Val Tobin > Do You Need to Know the Reiki Symbols to Practice Reiki? 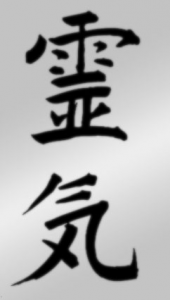 Do You Need to Know the Reiki Symbols to Practice Reiki? When Reiki students graduate from Level I to Level II, they learn the three symbols that allow them to use Reiki in more powerful and versatile ways. Learning the symbols enables practitioners to work with their clients more specifically, targeting areas of the body, mind, and spirit in new and different ways. They are now able to send Reiki over distances, use Reiki for manifesting, and even to send Reiki through time to heal past lives. The Second Degree Reiki takes practitioners to a level of deep knowinging. In fact, the higher level of Reiki channeling power you receive when you are initiated into this Degree is called “Oku Den,” which means “Deep Knowledge” in Japanese. Can Reiki I Practitioners Learn and Use the Symbols without Getting the Attunements or Taking Level II Training? While it is possible to find copies of the symbols in books or on the Internet, I don’t advise Level I Reiki practitioners to find, learn, and use them for Reiki. When learning Reiki II, we are taught that the symbols are sacred, and when used in the service of Reiki, they should not be shared with anyone who has not been attuned to Second Degree Reiki. For that reason, when using the symbols on a client, I make sure that his/her eyes are closed, or I do not physically draw the symbols. I mentally visualize the symbols in my hands or on the person. I use the Usui Reiki method, discovered by Dr. Mikao Usui in the 1900s. Dr. Usui insisted that his students memorize and keep confidential the symbols they learn when working on their Second Degree Reiki. This tradition has carried down from the originator, but there is more to it than simply adhering to Dr. Usui’s wishes. The main reason you shouldn’t use the symbols for Reiki when you have not received Level II attunements is because they won’t work. William Lee Rand, founder of the International Center for Reiki Training, says in his Reiki manual, Reiki: The Healing Touch, First and Second Degree Manual, he has verified many times that without receiving the attunements, use of the symbols doesn’t work. He explains, “It is interesting to note that the attunement actually empowers the symbols so that they will fulfill their intended purpose; without the attunement, the symbols do not seem to do much” (Rand II 5). Other Reiki experts disagree that sharing the symbols is wrong, and make valid cases for doing so. Diane Stein has copies of all the symbols, including those at the Master/Teacher level in her book Essential Reiki. One reason she mentions for sharing the symbols is that, in the past, many Reiki Level II practitioners were not permitted to have copies of the symbols, and so have lost the knowledge of how to draw them. Rand overcomes this problem by allowing former students to download the symbols from a password-protected location on his website, using a password that Reiki Level II students would know. However, since it would be easy these days to learn the password by looking up sources that reveal what it would be, this is not a foolproof method of protecting the symbols from the uninitiated. The important thing to remember is that no one but a Level II or higher Reiki practitioner should use the symbols for Reiki. So, even if you have access to the symbols, you are ethically obligated not to make use of them unless you are a Reiki II practitioner. But there is still a lot you can do as a Level I practitioner. Level I practitioners are able to perform Reiki effectively. At the first level, you are attuned to channel Reiki, which is an intelligent universal life force energy that flows through the practitioners hands and into the client, and goes where it is needed the most. You are taught the hand positions, and how to use it on yourself or on others, including on plants, animals, and trees. Every time you use Reiki, you boost your energy. You help yourself even while you help others. The more you use it, the better and stronger it flows through you. You will find your intuition strengthens as well, especially if you charge your food and water with Reiki before you consume it. As you increase your ability and gain experience, you may want to consider receiving compensation for giving Reiki. You may begin asking for compensation for your Reiki services even at the first level. Many Reiki Teachers will expect you to do case studies to fulfill the requirements of your training. While you may not want to ask your case studies to give you monetary compensation, it is permissible to ask them to give you something as a token in exchange for the energy work you are doing. When I was doing my Level I case studies, I received some lovely herb teas and candles in exchange for Reiki, and some people insisted that I take a token amount of money for it. That helped to boost my confidence and gave me the experience and skills I needed to go further with my training. It led me to decide to continue to the Master/Teacher level. As you become more experienced and confident, and if you have the desire to provide Reiki for more people than just friends and family, you can set up a Reiki practice. Set your rates according to your level, though. If you are not yet a Level II, then be clear that you still have training to complete, and charge for your services accordingly. Some people will not mind that you haven’t received Level II training and aren’t using the symbols, if they are getting the service at a reduced rate. While it’s true that if you want to build a thriving Reiki practice you should continue your training to at least Level II, you can do much with your Level I training. Reiki provides benefits at every level, and the more you practice it, the more you will witness how powerful it is even at the first level. But if you want to take advantage of the full scope of the Reiki energy, then you should consider taking the Reiki II training, where you will have access to a higher energy from the attunements and be able to use the symbols to accomplish so much more. Rand, William Lee. Reiki: The Healing Touch, First and Second Degree Manual, Southfield, MI: Vision Publications, 2008.